We know how hard you work, so we’re going to help you lighten your load. The Associated General Contractors of America is pleased to provide AGC Members with a private offer of up to $1,000 off the purchase or lease of most new Chevy vehicles. Quirk Chevrolet aslo offers a broad selection of cars, trucks, vans and SUVs under the ABC program to suit your business needs. Quirk Chevrolet offers a broad selection of cars, trucks, vans and SUVs under the ABC program to suit your business needs. 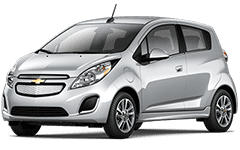 AGC members can combine this offer with most current consumer Chevy incentives, including the National Fleet Purchase Program and the GM Business Choice program. The GM Business Choice program allows business owners to take advantage of valuable options when you purchase or lease an eligible Chevrolet. Choose an eligible vehicle or vehicles to purchase or lease and present your Associated General Contract proof of membership form to your dealer. The Associated General Contract can be combined with most current small-business offers and incentives.